Pure coincidence! True fashion friends. I don't blog very much about men's fashion, but it's the first ever New York Men's Fashion Week. History in the making! Of course I felt it appropriate to keep my look basic and *ahem* men's inspired. It's time for the boys to take the spotlight. 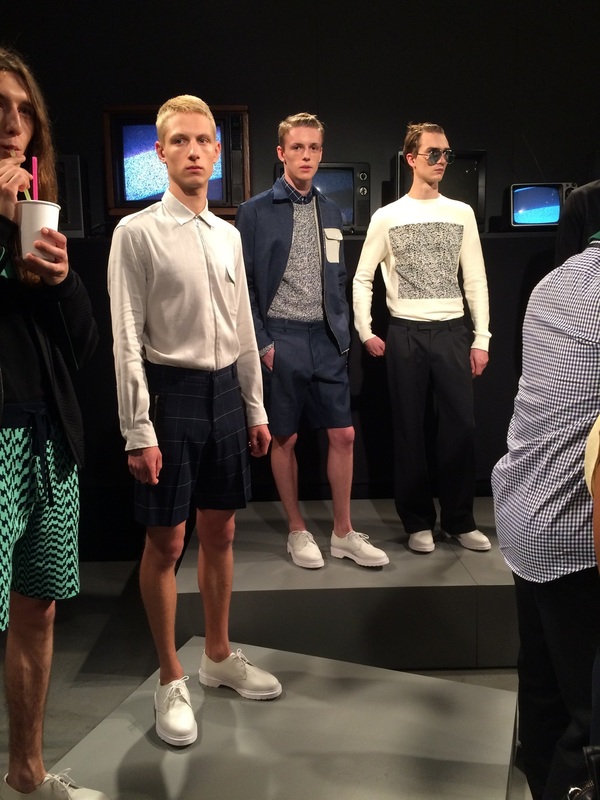 Here are some looks from the Timo Weiland and Edinger Apparel SS16 presentations. I am loving that men's fashion is finally getting the attention it deserves. So much creativity to be shared. And so many male models to be seen. PS. Ran into the guys from Public School NY and they were super cool and made my day. Obviously. Love their stuff! !